I needed a bowl for my Popcorn I am cooking in my room. The cost in Panajachel, Guatemala two Q - or 25 Cents USA. 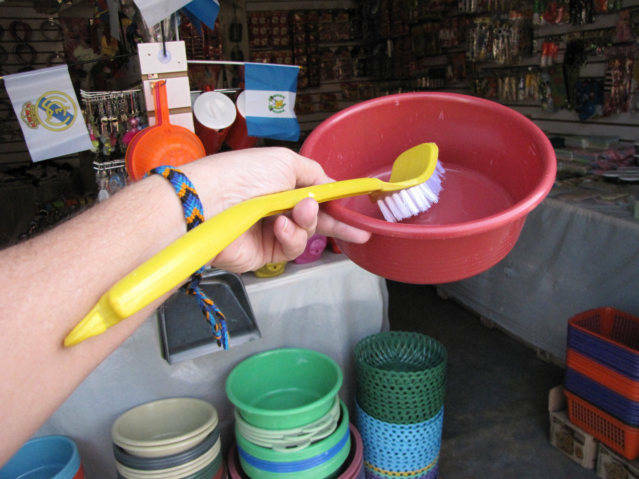 I needed a toilet brush, the cost in Panajachel, Guatemala is 3 Q, what is that, maybe 35 cents USD. Think outside the Hotel Box - Open up your brain and buy the things that improves your quality of life.